In other words, the 100,000 Canadian soldiers who won the greatest battle of World War I were not Canadians, according to today's Citizenship and Immigration. How dare Harper's government say that no one born in Canada prior to the 1947 Act was "legally" a Canadian citizen! Maybe you and a few million other Canadians thought the issue of "Lost Canadians" had been resolved. You know, war brides and children (born in and out of wedlock to Canadian soldiers in WWII) who discovered years later -- after a lifetime of paying taxes, working productively, finding out on retirement -- or when applying for passports -- that through bureaucratic glitches, they were not Canadian citizens. Supposedly, these and other citizenship lapses had been corrected by the Harper government and an all-party Parliamentary vote. If you think this -- think again. Think again. Take the case of Jackie Scott, who was born out of wedlock in England in 1945. Her father, a Canadian soldier (born in Canada in 1911), married her mother in 1948 who became a naturalized Canadian after the family came to our country. Jackie Scott went to school, worked, married, had a daughter and now has grandkids -- all of whom are as Canadian as maple syrup. But because Jackie had not lived in Canada for five years prior to the Canadian Citizenship Act of 1947 (remember she was born in 1945! ), she didn't qualify as a "Canadian." Subsequent laws sought to correct this foolish oversight, but in one of the strangest rulings imaginable, today's Citizenship and Immigration department -- over the signature of one Stella Holiday, Citizenship Analyst -- insists Jacqueline Scott is not Canadian. Her reasoning? In letter she bluntly (and categorically) says: "At the time you were born in 1945, neither of your parents was a Canadian citizen." Oh? Remember, the father was born here, was a Canadian soldier, was wounded for his country, and is now viewed as a non-Canadian! Stella Holiday's letter continues: "Before 1947, persons born in Canada, such as your father, were considered British subjects [...] Canadian citizenship only gained legal recognition when the former Act came into force on January 1, 1947. Therefore you are not described as a citizen." In other words, the 100,000 Canadian soldiers who stormed Vimy Ridge and won the first and greatest battle of World War I, were not Canadians, according to today's Citizenship and Immigration. Nor were nearly a million men in uniform in World War Two. And the 100,000-plus who died in Canada's wars are not considered "Canadian" by the Citizenship department. In 1946, then-Prime Minister Mackenzie King stood on a dock in Halifax and welcomed war brides and their children as "Canada's newest citizens." His greeting has an ironic ring today. I guess Prime Minister Stephen Harper was out to lunch when he recently paid tribute to the Canadian Corps on the 95th anniversary of the Vimy Ridge: "Their remarkable victory helped create a new and stronger sense of Canadian identity here at home." In an anthology compiled by the late Pierre Berton, my father, who earned a Military Medal and bar at Vimy, wrote: "Before Vimy Ridge I never felt I was Canadian, but after Vimy Ridge I never felt anything but a Canadian." How dare this bureaucrat from Citizenship and Immigration say that no one born in Canada prior to the 1947 Act was "legally" a Canadian citizen. Don Chapman lost Canadian citizenship as a kid when his dad moved to work in the U.S. As the founder of "Lost Canadians," Chapman not only regained his citizenship, but rescued unknown thousands of others who'd been unwittingly deprived of theirs. Chapman's persistence forced the government to change laws that deprived so many. Canada broke with Britain in 1867 when the British North America Act declared Canada an independent country. We have been self-governed ever since. Of course we have links with Britain, but we are masters in our own house -- except for the bureaucratic lapses that still exist. 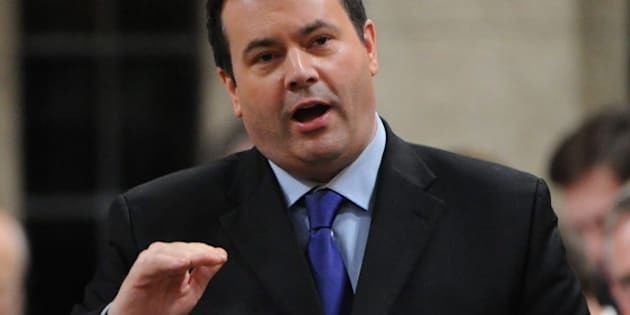 It behooves the Prime Minister, if Citizenship and Immigration Minister Jason Kenney won't act, to cut the red tape and recognize Jackie Scott as a legitimate Canadian, and not scurry for cover and pretended ignorance. Scott now lives in the U.S. and discovered she was not considered Canadian in 2005 when her application for a passport was rejected. The Conservatives sought to correct the citizenship when they were the Opposition. Now that they're the government, they have other priorities.